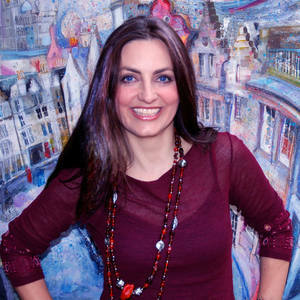 I am a Scottish, mixed media artist, now living in Victoria BC, Canada. Dreamscapes, cityscapes and still lives are my most frequently visited themes. My work is colourful, highly textural and exploits a huge range of mixed media techniques which draw the viewer closer. Each piece begins with expressive drawing then through a process of countless layers, becomes whimsical, uplifting and full of colour and textural intrigue.